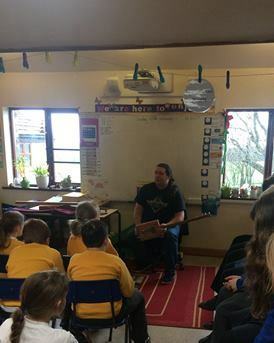 Last week Rob, one of our parents, kindly offered to come in and lead an assembly with our primary pupils on his guitar making skills! He makes and sells guitars from recycled materials. The body of the guitar pictured is made from an old cigar box! The children were fascinated and asked Rob lots of fantastic questions.